Habitat greatly influences fish abundance and distribution. Information about fish habitat allows us to predict where fish will be and how many will be there. This information includes what type of rocks or mud are at the bottom of the water, what types of plants are found in these habitats, how fast the water is flowing, what kinds of small invertebrates are living beneath the surface – some too small for the human eye to see, and who’s eating whom. How do we get this information? Biologists employ many techniques to try and understand what makes good habitat for fish, and what qualifies as poor habitat. Some of these techniques include hard manual labor, such as diving or wading into water against strong flows, catching fish or observing them from afar, turning over rocks and digging in the mud to pull out invertebrates and measure each of them, and measuring the number of plants, the types of different plant species, and the percent of the habitat covered in plants. 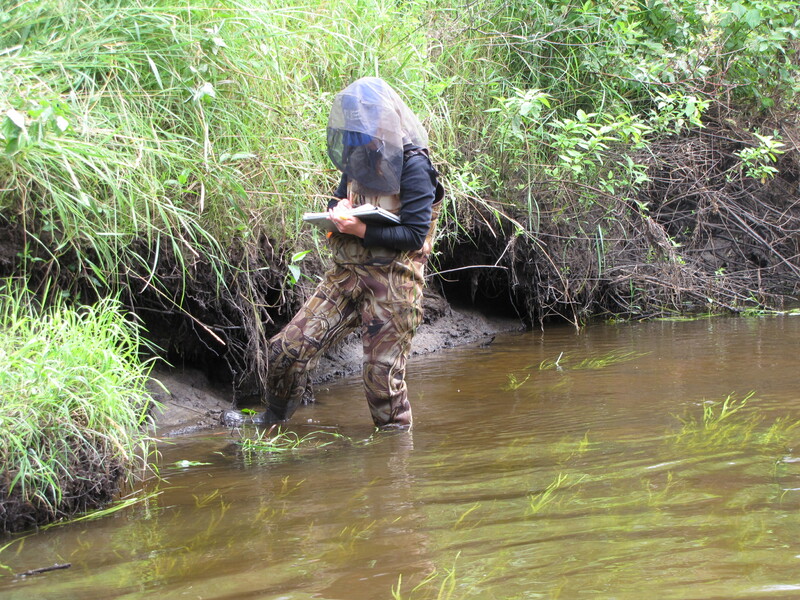 A Biologist manually collecting information about fish habitat. Photo Credit: Dennis Topp, Minnesota DNR, Baudette MN. These methods are effective. The biologist gets a firsthand perspective of what’s in the water and how that influences fish. These methods can also be time consuming, and when you’re faced with miles of stream or acres of lake, not always possible with the amount of time and money available to gather information. 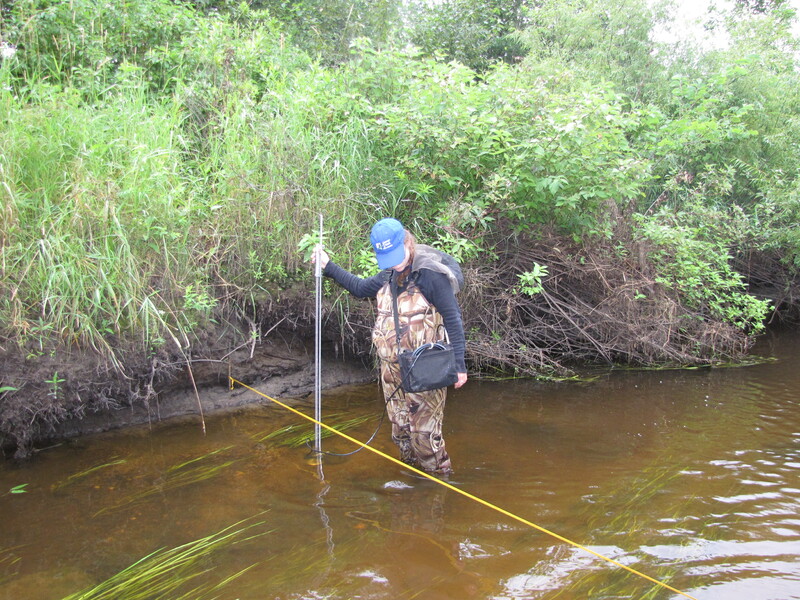 Consequently, biologists and researchers are always searching for advances in technologies to efficiently characterize and record features of complex aquatic habitats. These technologies can complement the manual methods described above. Diver-operated stereo-video (stereo-DOV) is one technology that researchers from Australia have found useful in characterizing complex aquatic habitat. Stereo-DOV means that a diver goes out into the aquatic system and uses a stereo-video camera (a camera that simulates human 3-D vision) to quickly record what the system looks like and the organisms in it. This includes what types of fish, plants, and invertebrates are found there, what their sizes are, what the animals are doing during the recording, and what the depth of the water is across all recorded locations – measurements that are impossible to record quickly if a human observer were to try and write them all down. This video can be collected in a relatively quick sweep, saved on a memory device, and then brought back into a lab where a large amount of complex data can be extracted later in a systematic way. Biologists can access this video at any time, and the video is collected within a short time-frame. Danielle Collins and her colleagues from Australia found that this technique made field work significantly faster and was similar in accuracy to manually measuring habitat characteristics in the field. However, they also found that as the habitat became more complex, the stereo-DOV method became less accurate at predicting how complex the habitat was, as structures (e.g., boulders, plants) obscured other characteristics of the habitat on the video. They found that when stereo-DOV and extensive field work were combined, they could best predict how complex the habitat was. Habitat complexity can predict how many fish are found in a habitat and the kinds of fish you’ll find. 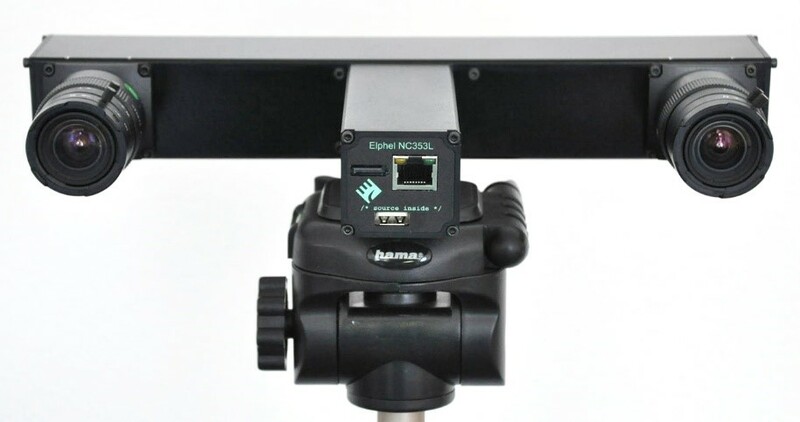 Danielle and her colleagues advocate for using the stereo-DOV method as well as extensive field measurements, because the video can be revisited if any additional information is needed. Recording what fish do, what types of habitats they like, and how they respond to changes in habitat is difficult. With regards to future research on fish habitat, it would be useful for all of us to think about how biologists achieve this, and what techniques or tools can improve this process. Danielle L. Collins, Tim J. Langlois, Todd Bond, Thomas H. Holmes, Euan S. Harvey, Rebecca Fisher and Dianne L. McLean. 2016. A novel stereo-video method to investigate ﬁsh–habitat relationships. Methods in Ecology and Evolution 8: 116-125. US Army Corps of Engineers habitat restoration project needs your help! Warming Freshwaters: How could rising global mean temperatures affect North American fish populations?